Misguided urban renewal of the mid-twentieth century led to a major decline for historic Tucson, once home to the eighteenth-century Convento and Presidio de San Augustin, which were both bulldozed to make room for a landfill. The Rio Nuevo Redevelopment Project aims to repair this area and reclaim its important heritage. 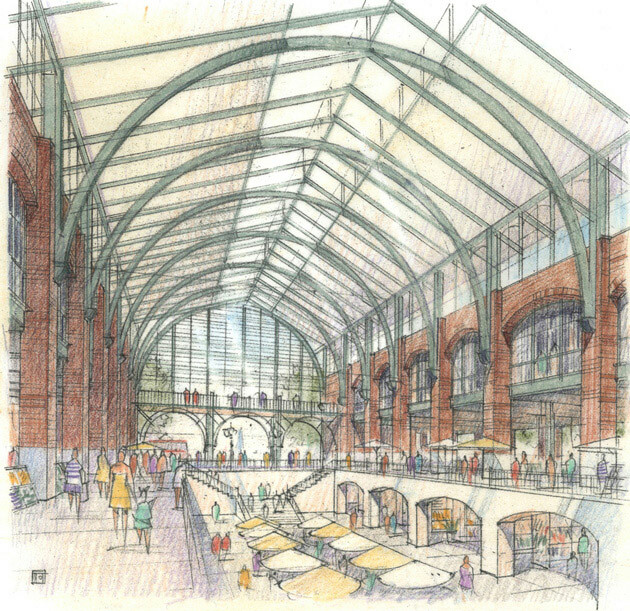 Revitalization of the Mercado District is one of the first steps in the project. 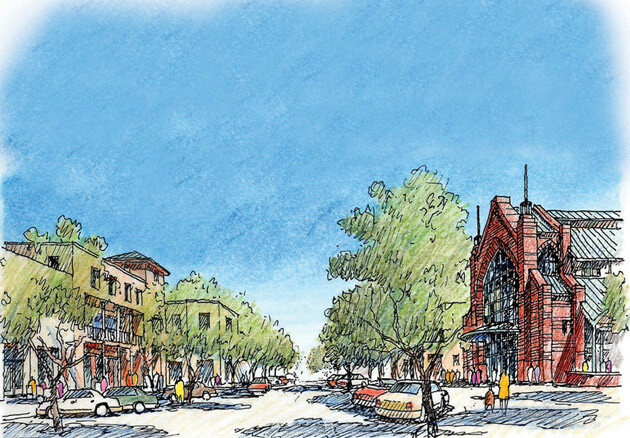 The Mercado District is a fourteen-block, seven-plaza plan that will include 800 dwellings and 500,000 square feet of commercial space. 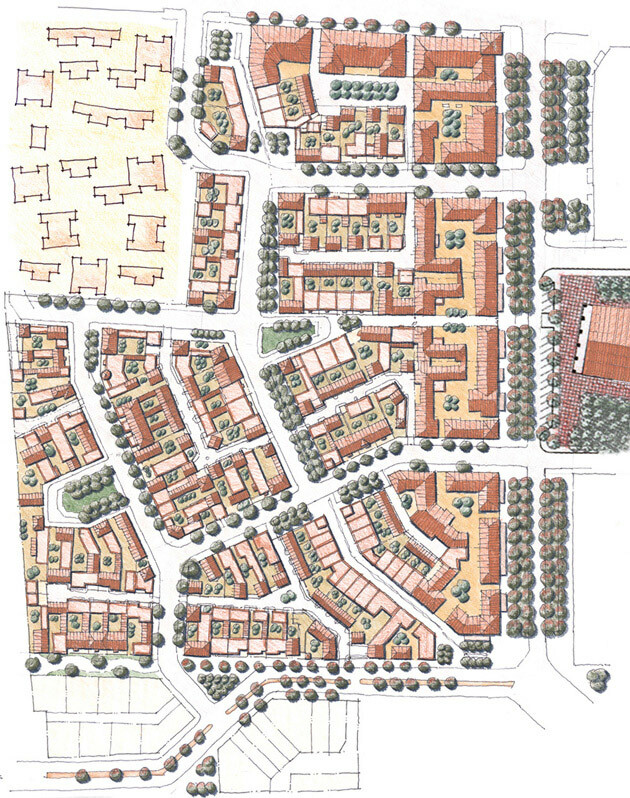 Located within a greater 18-block neighborhood plan, its design is based on the local urban patterns of Tucson’s barrio, with a public realm of narrow streets, plazas, jardines and paseos. Buildings are close to the street to provide much-needed shade for pedestrians while private, internal spaces are incorporated within the blocks. 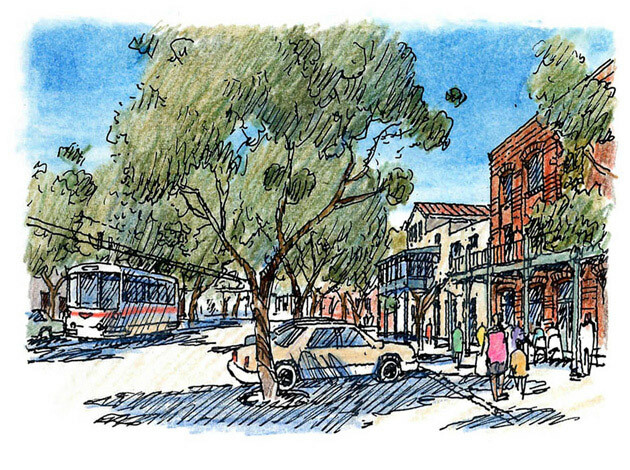 A new three- to four-story arcaded main street, Avenida del Convento, terminates at the City’s original site, providing additional access to the Menlo Park Neighborhood and three major civic institutions: the University of Arizona Science Center, the Mercado and the Tucson Origins Center. 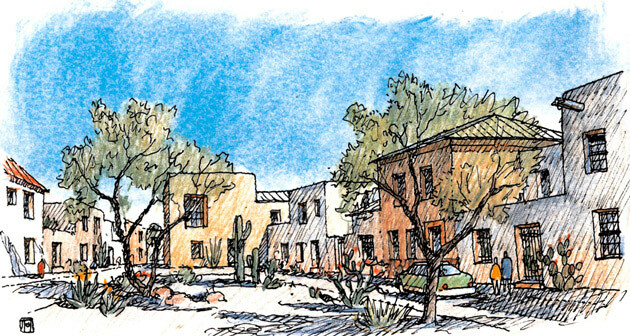 Residential buildings will be constructed mostly of rammed earth and adobe and local historic precedents will provide the design direction for both commercial and residential buildings.